Hughie Fury - A Reflection Of His Cousin? Hughie Fury – A Reflection Of His Cousin? There has been a lot of talk over the last few days about the best current heavyweight boxer and who that may be. Some think it’s Joshua, whilst others champion the causes of Wilder and Parker. Some still think that Tyson Fury is still the king of heavyweight boxing even with his “issues” and having been out of the ring for the last two years. These “debates” have led to many top heavyweight rankings all over social media, in which many have Hughie Fury listed in the top ten, some even have him listed in the top five of the world! Yes. Let that sink in, some people rate Hughie Fury in the top five heavyweight boxers in the world. I realize that a lot of this is to do with the “supposed” wrong doing that Hughie suffered from the ringside judges when he fought Joseph Parker for the WBO Title. Of course this is nonsense, you can’t run for 12 rounds and expect a decision. I think most of the accolades and false rankings Hughie gets are to do with his family connections. He has prospered greatly from being the cousin of Tyson Fury and the son of Peter Fury. The Fury’s are never far from the press and Hughie has benefited. With the impending return of Tyson (to take back his crowns, apparently), the spotlight on anything Fury has increased ten fold. To those that say Hughie is a top five fighter, I would say to you he is not even a top 10 fighter in the UK. His failings and lack of ability were there for all to see Vs Parker over 12 rounds back in September in Manchester. In my opinion there are many heavyweights in the UK better than Hughie. I think that Anthony Joshua, Dillian Whyte, Dereck Chisora, Daniel DuBois, Nathan Gorman, Tyson Fury, Tony Bellew, David Haye and Joe Joyce would all beat Hughie. Dave Allen and David Price would give him a very close contest. So how he can be rated top 15 in the world, never mind top 5 is a mystery to me. Previous boxing news: Can Josh Taylor do what Canelo, Prescott and Bradley couldn’t do and become the first to stop Miguel Vazquez? 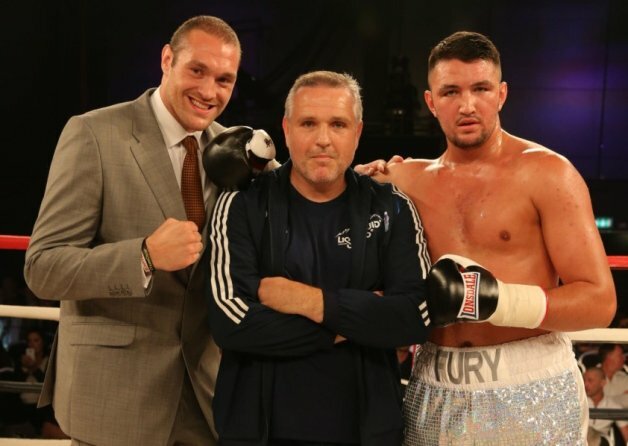 You are here: Home / Boxing News / Hughie Fury – A Reflection Of His Cousin?